B-b-b-but you said AoD is an S tier deck! What’s up everyone, here to talk about a rising deck in the meta the Blue Dende AoD deck. The deck recently came into 3rd place by Russell Stelzer innovated by Richard Zapp and strongly advocated in my team chat by Pat O’Neill (No Pat I won’t play it!!). My teammate Jose Angel Mercado Quinones played it in Team wars as well! These are all credible players advocating a strong deck, but I still don’t believe it has what it takes to win a tournament. Can AoD Dende really go through 7 rounds of Swiss and all of Top 16 to win a tournament? Let’s take a look at the deck and see why I don’t think so. Play SCR Buu and win! Going into a bit more detail, we like to swing with our Critical Agents first (Janemba/13), then when they are at 3 life, we like to swing for lethal with the SCR Buu, and if that doesn’t work, EX-Evolve into Kid buu to swing one more time for that amazing 60k++! AoD Dende heavily relies on this combo to work, or else it has no game plan. It’s first three turns are set up turns that allow for the SCR Buu to come into play. However there are quite the pieces that you need for this combo to work. Child’s Wish, a Buu in discard, Babidi in hand, 5 Agents in Warp/Discard. 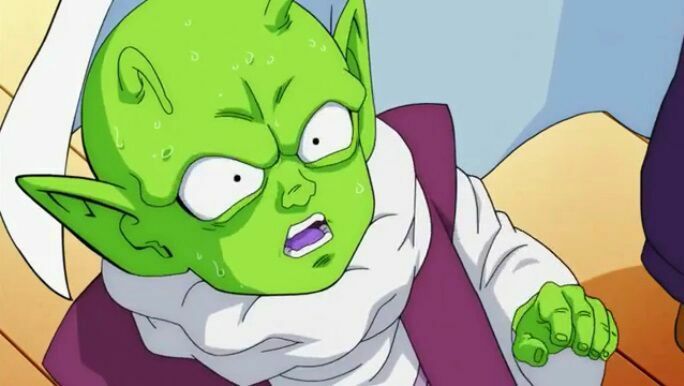 Dende allows you to Burst 2 and help alleviate some of the issues of consistency, but if it doesn’t happen you are donezo. If you settle for 3-4 Agents, then you lose tempo. Thus one of the main reasons I do not think it will win a tournament is its combo-oriented gameplan strategy. Notice the main board Minus Killi Zone? That’s because Crusher Ball, Pre-emptive strike, Cold Bloodlust all DESTROY AoD strategies. Crusher ball can bring all the Agents (Except SCR) in Rest Mode, Pre-emptive kills them all (But who plays Green leader right? Oh wait Broly), Cold Bloodlust just stops it from happening. In addition, to all the combo pieces AoD had to draw before hand, they also need a Minus Killi Zone to ensure their pop off turn properly goes off. If you are like me and a huge fan of some powerful Counter:Negates then you’ll know Flying Nimbus is awesome in this match up. Flying Nimbus shuts down their turn to allow only one more attack to come through your way. There are many other negates just as strong! Is That All You’ve Got, Paralysis Technique if that’s your thing, After Image Technique.